The Funiculi S Table Lamp from Marset is the newest addition to the Funiculi collection. Luis Porqueras has always sought an absolute simplicity in his designs, doing away with everything superfluous to leave the essence of the useful, simple object. Thirty years after it first appeared, Funiculi remains highly contemporary, both in its purist forms and in its features. The name Funiculi comes from the concept of a "funicular" action - moving up and down. The mechanism for raising and lowering the lamp uses a pair of clips which make the height of the shade adaptable to any user's needs. The shade itself can be rotated 360° to point the beam of light wherever it is required. 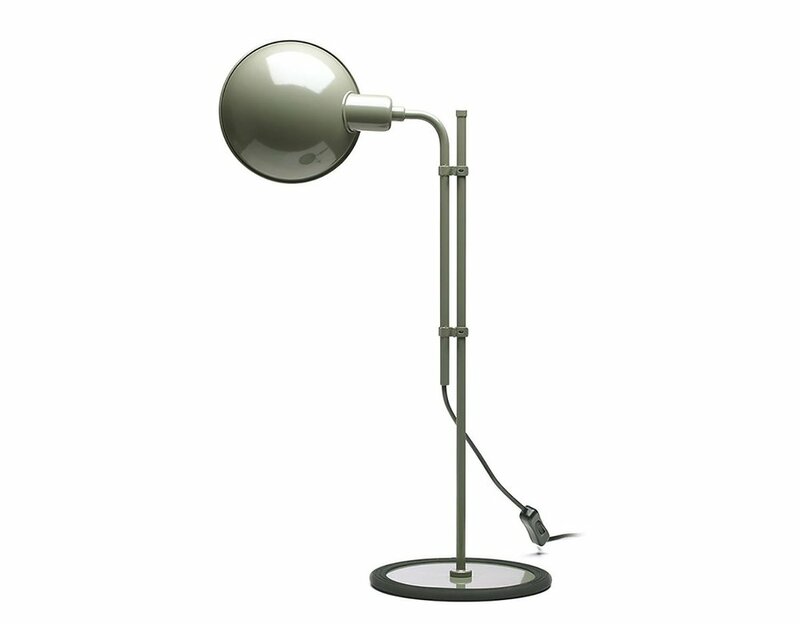 The base of the lamp is covered in rubber on the bottom to avoid the cold contact between the metal and the floor while adding stability to the lamp.